“No Date, No Signature”, directed by Vahid Jalilvand is Iranian entry for Best Foreign language Film Award. “No Date, No Signature” has been quite successful in film festival circuits by winning numerous awards. Driving home at night forensic doctor Kaveh Nariman accidentally knocks a family off their motorcycle. The father, Musa, insists on taking his eight-year-old son who has a slight pain in the back of his neck to a clinic himself but does not follow up. Two days later, the child is dead. Autopsy results show he died of botulism from tainted chicken that his father had bought on the cheap six days earlier. Dr. Kaveh, however, suspects the immediate cause of death to have been a broken neck from the car accident. 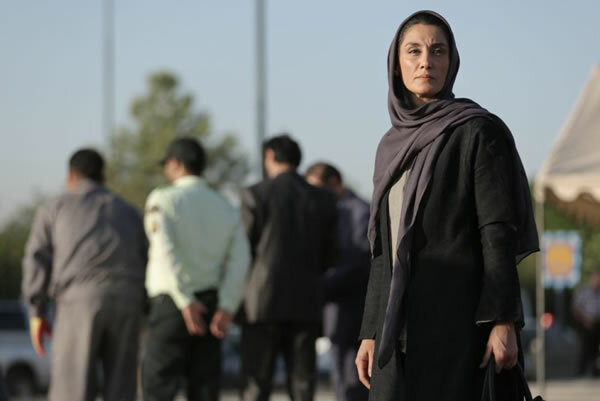 Guilt-ridden and anguished, each man acts on his conscience, setting off an entangled series of butterfly effects in No Date, No Signature, Vahid Jalilvand’s second feature film , Iran’s entry in the Best Foreign Film category, Academy Awards 2019. Vahid Jalilvand (b. 1976, Tehran) graduated in theatre direction from Tehran University. 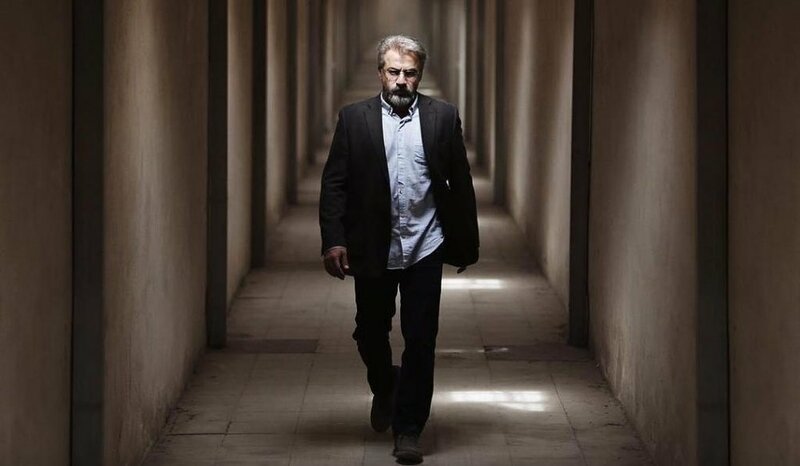 His film career began in 1995 at the National Iranian Radio and Television (NIRT) as an editor and over time, director of thirty documentaries and two TV series. 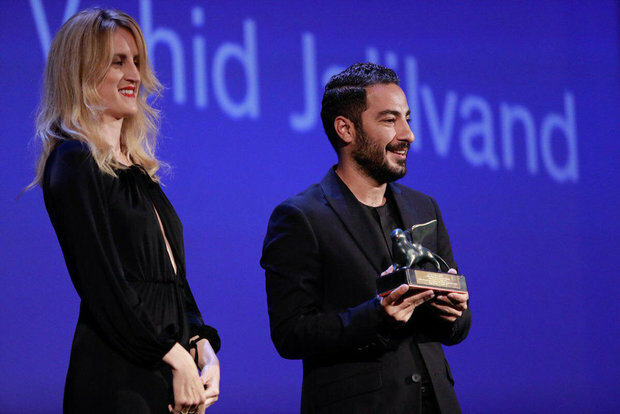 In 2015, having quit his job due to political differences with management, Jalilvand directed his first feature film, Wednesday, May 9, which won the Venice Film Festival/Interfilm Award; Reykjavik Int’l Film Festival/Golden Puffin Best Film, and Chicago Int’l Film Festival/Gold Hugo New Directors Competition. Bijan Tehrani: How did you come up with the story of “No Date, No Signature”? Vahid Jalilvand: I had no idea where to go with the story, but for some unknown reason, the image of a cemetery was etched on my mind. My co-writer Ali Zarnegar and I decided to walk about for a while and then share our observations together. For over twenty days, I visited cemeteries and Ali, hospitals. We talked with different people day and night; it would be a gravedigger one day, and a doctor the next; we broke bread and lived with them and their sense of suffering. We still didn’t have a plotline, but the bites that we jotted down sneaking around, and the information we collected, became a full story sixteen months later. BT: The destitute laborer Musa and Dr. Kaveh are separated by class, but they share deep similarities in other ways. How did you develop these two characters? VJ: Dr. Kaveh and Musa value human dignity equally but embody it differently, each according to his social class; in the structure of the drama, they represent Aristotle’s wheel paradox. Musa is conditioned by the social order, but he’s also a master of his own actions, and Kaveh’s actions are consistent with an awareness of death. BT: The female characters, Dr. Sayeh Behbahani (Kaveh’s colleague), and Leila (Musa’s wife) are both pragmatists. Was that deliberate? VJ: Yes, that was deliberate. Most movies don’t paint an accurate picture of Iranian women. The numerous restrictions imposed on Iranian women have made them very worldly. It’s a common observation by travelers that in Iran women are stronger than men, and much braver. BT: In the film, your analysis of guilt is profound and psychological. How did you come to this analysis, and did you use real life examples as models for your characters? VJ: Crime is a product of insecurity, a product of environmental conditions, shortcomings, and of a lack of empathy. No baby is born an offender. Absent community ties and proper education, anyone can turn into a wicked person that no law can stop. In a society that undermines human conscience and dignity and merely dictates do’s and don’ts, people circumvent the law in hard times and moments of decision-making. A law that ignores human dignity is ineffective and sometimes even dangerous. It is a kind of approach to responsibility that always packs feelings of guilt that lead to obsession. But to answer to your other question, I don’t believe characters in a film have to be based on real people. On the other hand, I do believe that an artistic creation is incomplete and ineffective unless it relates to society and exhibits a good understanding of the human psyche. For example, I may have never met a doctor that thinks and acts like Kaveh, but I have met altruistic individuals that when faced with difficult circumstances, forgo their self-interest and give everything they have to save another man’s soul. BT: In “No Date, No Signature” you paint a realistic picture of living conditions specific to Iran, but I also find it to be a universal image of human problems. Am I close? VJ: In this film, more than anything else, we underline poverty, which is an ominous and global phenomenon, and we highlight people’s social responsibility vis-a-vis vulnerable and disadvantaged people. Different cultures approach this problem differently, but when it comes to moral values and social responsibility, what defines a real human being is universal. 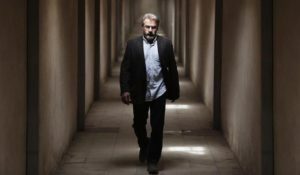 BT: Despite the hostile landscape of “No Date, No Signature,” the film relays a belief in humanity’s essential goodness; that’s what we see in Musa and Kaveh. Is that what you had in mind when making the film? VJ: If the spirit of the film lingers on after the lights have come up, if the audience leaves the theater still thinking and concerned about the fate of the characters, if it tries to grasp their reactions, if it goes even further and takes action in view of those reactions, then the film does not end in the film itself and will be sweet or sour depending on the audience’s actions. 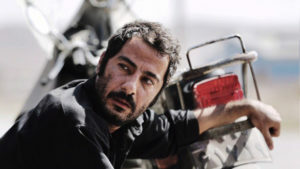 Thus, if members of the audience modify their behavior in view of Kaveh or Musa’s behavior, or even raise questions, it means the film has penetrated into the deeper layers of the human psyche and hopefully it will be effective. VJ: The film’s visual style is in fact based on the characters’ inner worlds, all of whom are in gray; only in rare instances do we see the gleam of a different color. Working with Cinematographer Payman Shadmanfar was priceless. Peyman is very smart and an expert in his field; basically, he didn’t approach the film as a commercial affair. 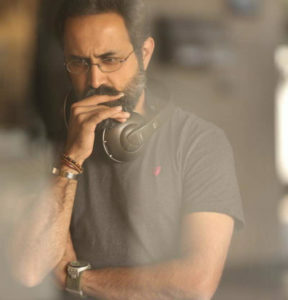 His accuracy and obsession with his craft, especially in lighting design, filled the cast and crew with enthusiasm and motivated them to bring their full potential to the project. BT: All the performances in the film are excellent, especially Navid Mohamadzadeh who as Musa stands out as one of today’s best actors. Please tell us about the film’s casting and how you work with actors. VJ: Nothing paves an actor’s way to an exceptional performance better than a deep understanding of the world and of the character they have to portray. In rehearsal sessions, most of our time is spent making sure that the actors get to know their characters in depth and detail. I would rather work with actors who have an awareness of their society, who have really “lived” a life, than with those who have strong acting skills alone. Among all the actors I know, I think Navid Mohammadzadeh has lived hundreds of years. BT: How do you see the chances of your film being nominated, or winning the Academy’s Best Foreign Language Film Award? VJ: Receiving an Oscar, regardless of any film’s values, depends on a variety of factors, including the distribution and the publicity to promote the film in the United States—which is naturally out of my control. I applied what I knew in the film, and I leave the rest to the experts to judge. BT: Are you working on any new projects? VJ: I still don’t know what will happen, I’m busy writing.